A Step-by-Step Picture Tutorial on How to Make Perfect Homemade Vanilla Ice Cream. 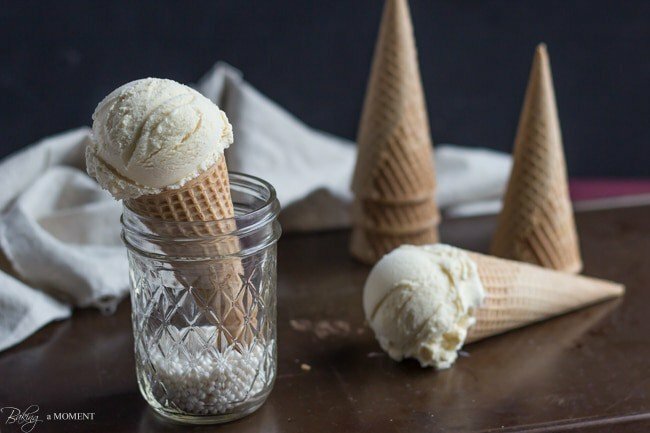 This Simple Recipe will be your Basic Go-to for making Classic Churned Ice Cream. Don’t forget to scroll all the way to the bottom of the post for a fabulous giveaway from Nielsen Massey! Hello dear friends! I hope you had a wonderful weekend! Mine was pretty low-key and relaxing. I’ve caught up on things over the last week, thanks in part to my good friend Lisa and her Key Lime Pie Posset recipe from Friday (Did you see it? Please do check it out!). And I’ve even been able to get on top of a few organizational things around the house that have been making me twitchy for months. I don’t think I’ve ever shared this with you guys before, and maybe you won’t be too surprised to know, but I’m kind of an organization junkie. When things aren’t “just so,” it kinda makes me nuts. With two little boys I’m sure you can imagine I feel nuts a lot of the time! But I love reading décor blogs and organizing blogs because they are so inspiring! I have some friends coming to stay at my house in a few weeks, and I’m working on getting our guest bedroom/bathroom situation in order before they arrive. This is a house project that’s been on the back burner for months (years even?) so I’m really happy for the incentive to finally get it done! I’m sharing a photo of the current state of affairs in our hall/kids bathroom, in hopes of showing the final, made-over result after I finish tidying, improving, and beautifying! But today’s post is all about vanilla. 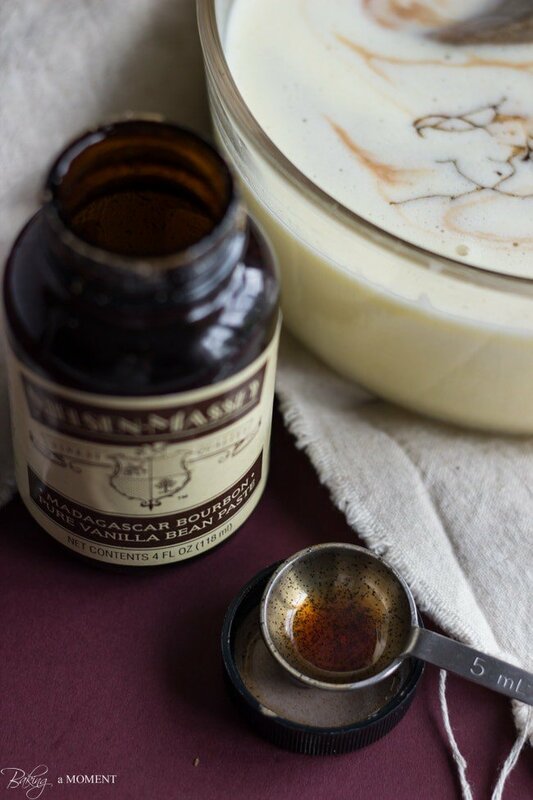 I’m thrilled to be able to offer a fabulous prize package of Neilsen Massey vanilla products at the end of this post, so be sure to scroll all the way to the bottom to get your entries in! 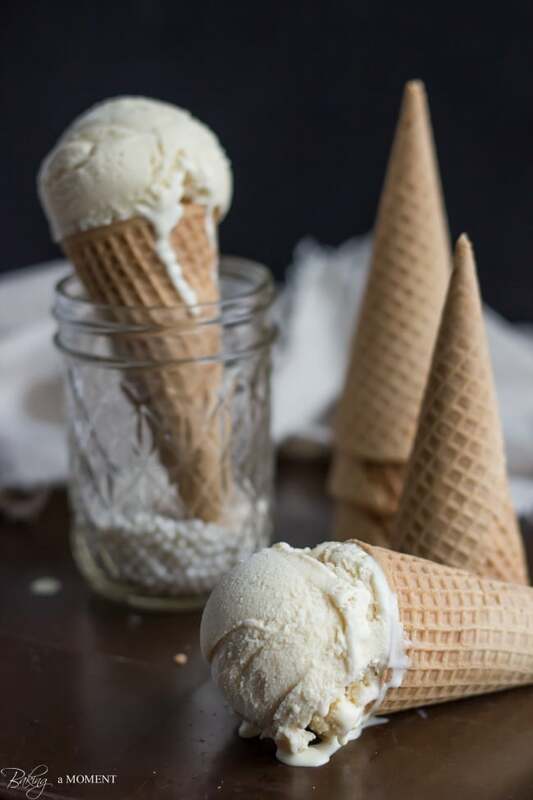 The idea of making homemade, classic churned ice cream might seem a little intimidating, with separating and tempering the eggs and all, but I’m here to tell you: you can totally do this. Plan ahead and take your time and you’ll be golden. And your efforts will be so rewarded, when you taste the amazingly rich, creamy, and flavorful result. It all begins with egg yolks, sugar and salt. Place them together in a bowl and whisk. Now heat a bit of milk on the stove until there are wisps of steam rising from the top and little bubbles forming around the edges. …remove it from the heat and strain it into a heat safe bowl. At this point, all you have to do is add the cream and vanilla! Chill the custard overnight in the fridge, and freeze the canister of your ice cream maker. This is the ice cream maker I’m currently in love with. <–That is not an affiliate link. I love this ice cream maker attachment because it takes up so much less space than a standalone machine, and it works beautifully. In the morning you can churn your ice cream, and transfer it to a loaf pan for easy scooping. Ta-dah! 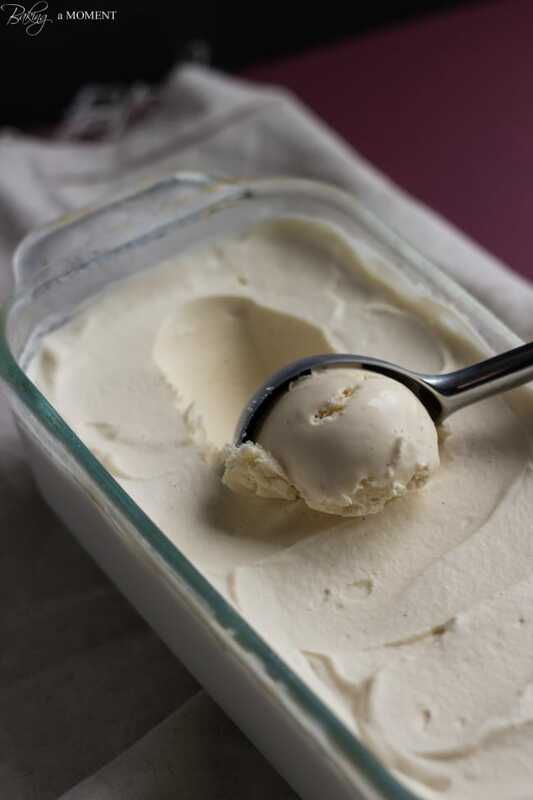 This Simple Recipe will be your Basic Go-to for making Classic Churned Ice Cream. Chill the canister of an ice cream maker in the freezer overnight. 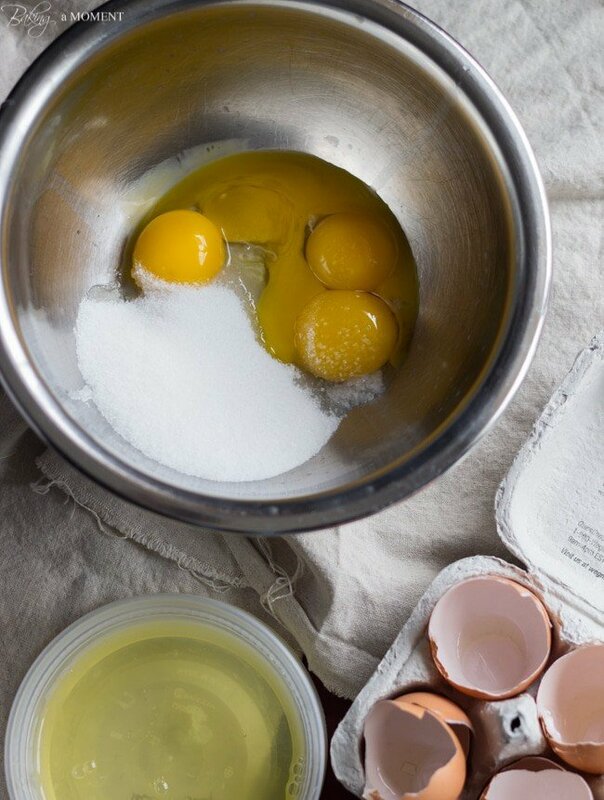 Place the yolks, sugar, and salt in a medium bowl and whisk until pale and thick. Place the milk in a small pot and heat on the stove until small bubbles appear around the edges and wisps of steam are rising from the surface. Pour the hot milk into the yolk mixture, a little at a time, while whisking. 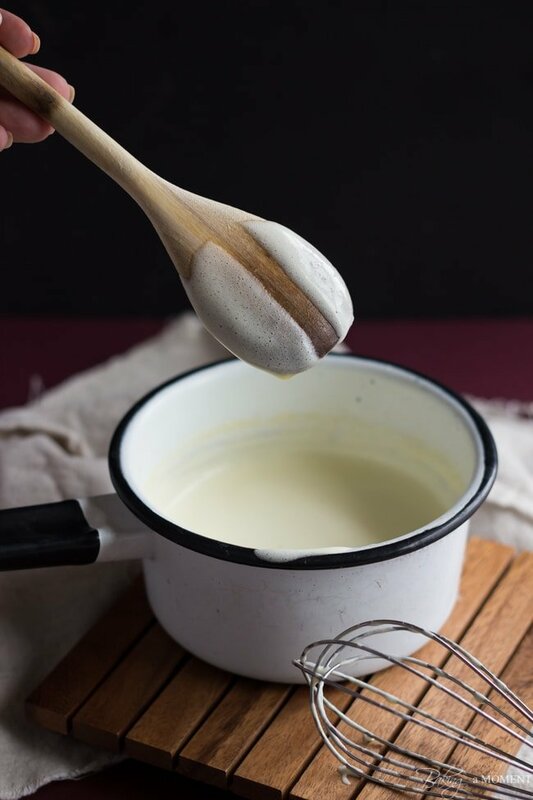 When all of the hot milk has been incorporated, transfer the custard back to the pot and heat over medium-low, whisking, until hot and slightly thickened. Strain into a heat safe bowl, stir in the cream and vanilla, and chill overnight. Churn the ice cream for about 15-25 minutes, or until it resembles soft-serve ice cream. Transfer to a loaf pan and freeze until hard. 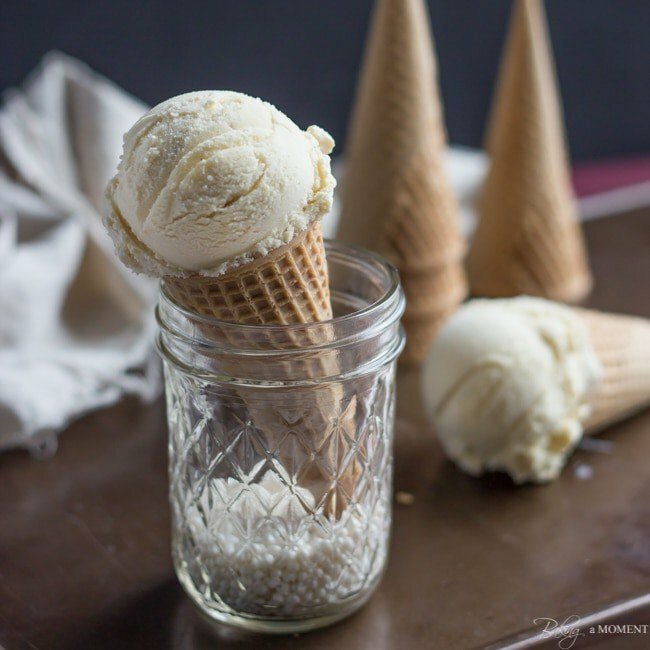 I think you will really love how rich and creamy this homemade vanilla ice cream is. And it’s a great recipe to keep in your recipe box, as sort of a basic building block. You can add all sorts of flavors or mix-ins, and really make it your own. Enjoy! Can’t beat vanilla ice cream, in my opinion, and loving the flecks of the vanilla bean paste. Thanks Lisa! I agree it sounds a lot scarier than it is. 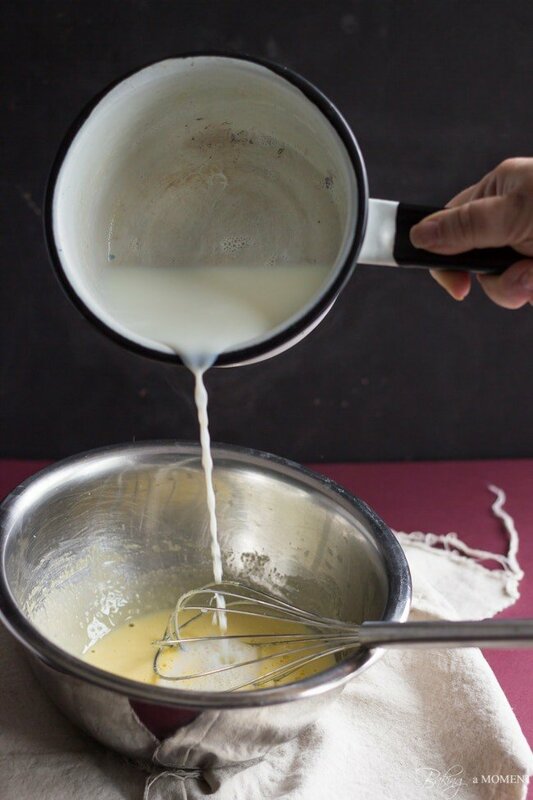 It only takes a few minutes to whip up the custard and the rest is just wait time! Thanks for the sweet comment, love! Oh girl there’s nothing to it! Especially for a rockstar cook such as yourself. You’ve got nuthin’ to be intimidated about! I like how you mention this is a great base ice cream as well! Looks so creamy and amazing. Sometimes vanilla is all you need 😉 Also, I LOVE the photo with the ice cream cone in the mason car with the sprinkles? or beads? on the bottom, well done Allie! Looking forward to the final bathroom shots! Have a great Monday! Thanks Kelly! They are sprinkles 😉 The sugar pearl kind. 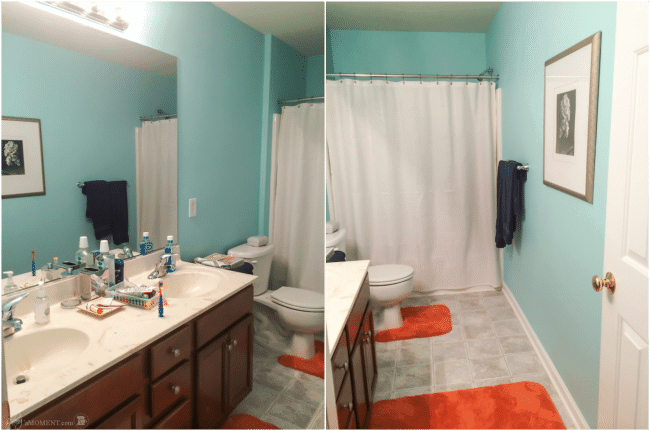 I’m so happy you liked and I’m glad you’re into the bathroom makeover too! Looking forward to sharing the final “reveal,” lol! BEAUTIFUL photos!!! Love this classic and irresistible ice cream! 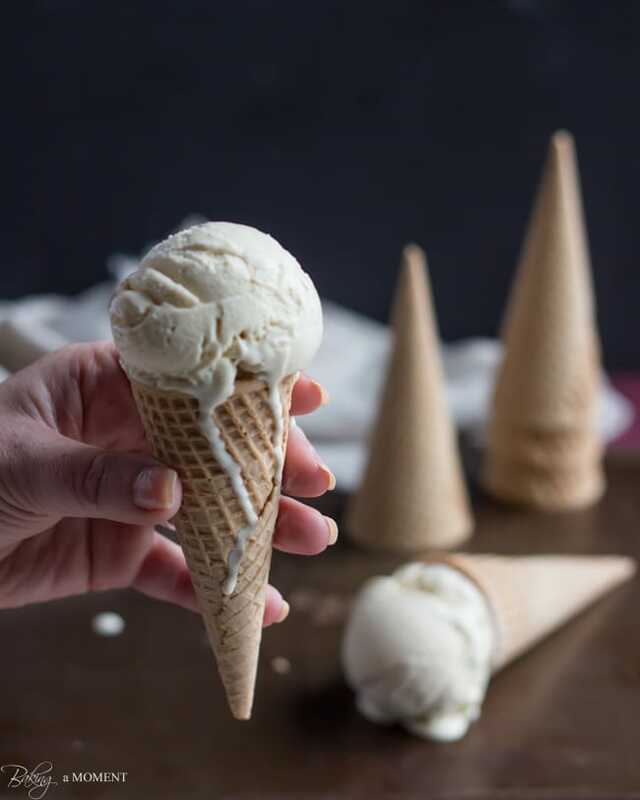 i am SO craving a scoop right now.. you can never go wrong with a classic vanilla bean ice cream! I really wish I had an ice cream maker right about now! Aw! I’m sorry sweetie! But you have some pretty stellar ice cream recipes on your blog my dear! I love the step by step instructions on here! And the final result is perfection – you really picked the right name! I could go for a giant cone right now! Oh and can’t wait to see your after bathroom pix, although the before looks pretty tidy to me! Thank you Cate! I guess it’s not to messy (if you ignore the toothpaste smears on the counter!) but I’m hoping to make it a little prettier. I’m looking forward to seeing it all come together. Thanks for the sweet compliments about my ice cream, and thank you again so much for putting the giveaway together! 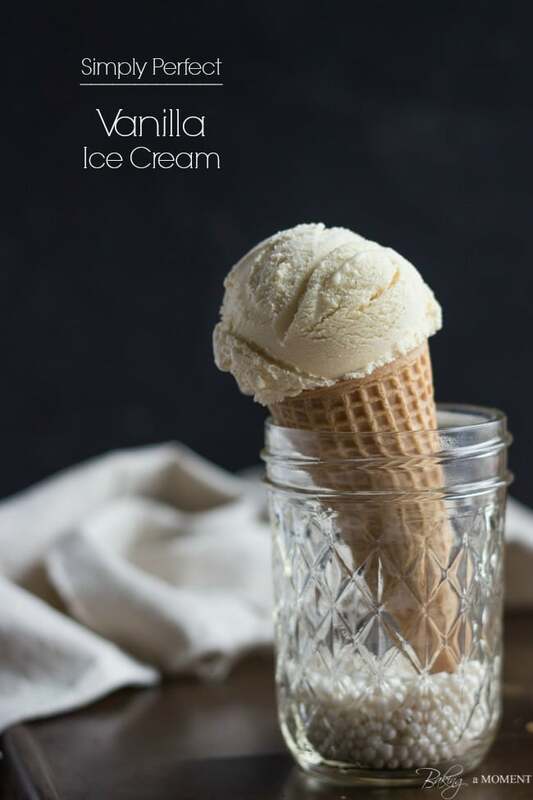 Classic vanilla bean is my absolute favorite flavor – this looks amazing! Thanks Kelly! And I’m looking forward to having a less messy bathroom, lol! Seriously this ice cream is breathtaking!!!! Girl I adore vanilla!! Thanks Jocelyn! I do too! I agree! Thank you so much Jessica! Of course I want some good ole vanilla ice cream! Mmm…pinning. Looks amazing. Love how you are whisking those eggs girl! This ice cream looks utterly perfect, must try it! Thanks, Pamela! I hope you enjoy it! Your ‘perfect’ recipes always do look perfect, Allie! I love this recipe and now of course want to buy an ice cream maker. Thanks so much for the step-by-step … it’s so appreciated as I’ve never attempted making my own ice cream. There is nothing quite like really, really good homemade vanilla ice cream, Allie. I think yours is the best I’ve ever seen! Looks delicious Allie! I have been getting into making homemade ice cream lately. check out my post from today, Dark Chocolate Ice Cream! Oh my goodness, Michael! It looks diviiiiiiiine! Isn’t homemade ice cream just the best? Love it. Thanks so much and hope you had a great weekend! Yes, homemade is the best! thank you Allie, had a great weekend but dreading Monday already! Oh, dear! I’m so sorry, Hamail!